Harris’ silence might be understandable if the federal crackdown was targeting drug gangs and other criminal enterprises, but it’s not. Instead, the four US attorneys in California have focused on medical cannabis businesses, such as Oaksterdam University and Harborside Health Center, both in Oakland, that have steadfastly obeyed state and local laws. Indeed, no evidence has yet surfaced that the medical cannabis businesses targeted by the feds have done anything other than violate the federal ban on marijuana. US Attorney Melinda Haag of Northern California admitted as much last week after she launched her attempt to close Harborside Health Center. Haag is trying to seize Harborside’s building in an asset-forfeiture proceeding, and in a short statement explaining her actions, she indicated that she does not know whether Harborside has broken any state or city laws. Instead, she said she was going after Harborside because she thinks it must be doing something wrong because it’s so large. “The larger the operations, the greater the likelihood that there will be abuse of the state’s medical marijuana laws,” she stated. The US attorney’s actions drew an immediate and public rebuke from one of Oakland’s top law enforcement officials — City Attorney Barbara Parker, who also happens to be a former federal prosecutor. “As Oakland’s City Attorney and a former Assistant US Attorney, I strongly oppose federal actions against members of Oakland’s business community who are complying with California and Oakland laws and regulations and paying their fair share of taxes,” Parker said in a statement. Parker also appeared at a press conference in support of Harborside. Other political leaders have also criticized Haag, including Congresswoman Barbara Lee and Betty Yee of the state Board of Equalization. But Harris has refused to say anything, even though as California’s top law enforcement officer, it’s her responsibility to uphold and enforce state laws — not Haag’s. 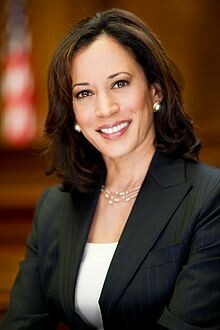 As such, there’s an argument to be made that Harris has allowed Haag and the other three US attorneys in California to usurp her authority — they have become California’s de facto attorneys general. Haag, in fact, is proving that she believes they have the right to trample on or enforce California and local laws that permit the sale medical cannabis whenever they want to. And Harris is letting them do it. But she doesn’t have to. She has power if she wants to wield it. As a rising star in the Democratic Party, she is viewed favorably by the Obama administration. So if she were to strongly condemn the federal attack on state-law-abiding businesses, it could carry weight within the US Justice Department. However, her silence is likely having the opposite effect — it’s almost assuredly being viewed by federal law enforcement as acquiescence.